Former three-belt World Champion Ji Hyun Park from South Korea stayed on track for a potential shot at a fourth world title on Saturday, April 13, when she retained the World Boxing Federation (WBF) Womens International Strawweight title for the first time. 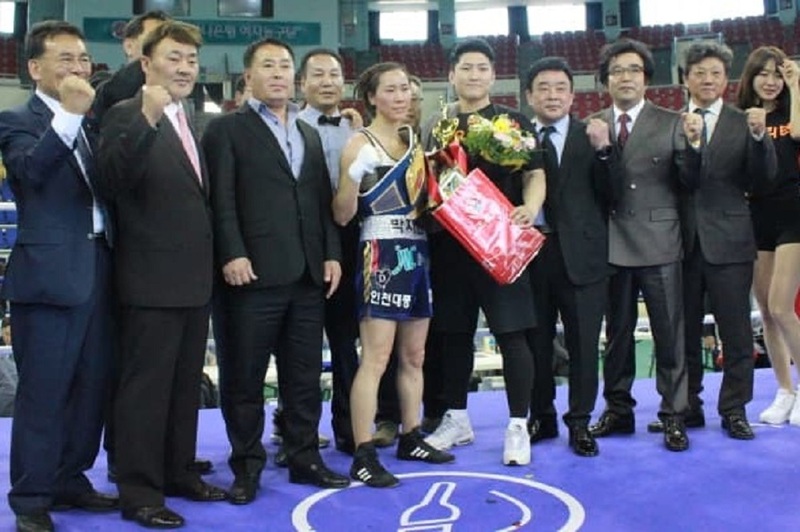 At the massive Bucheon Gymnasium in Seoul suburb Bucheon, the 33-year-old scored a landslide unanimous decision over Chinese challenger Yu Fei Wu, with scores of 100-90, 100-90 and 100-91 from judges Kyung-Han Lee, Yeong Bok Park and Sung-Chul Jo. Park was basically a level above the eighteen year old Wu, and controlled the fight quite easily, despite Wu being game and never giving up in her attempts to find a way into the fight. The champion was just too crafty and skilled, but never appeared close to getting a stoppage. A professional since 2005, and a veteran of twenty championship fights, including fifteen successful world title-defenses, Ji Hun Park improved her record to 24-3 (7), while Yu Fei Wu has plenty of time to come again and travels back to China at 7-3 (1).